The new Netflix doc about the bisexual guru is a meditative look at mortality. “I am one of the strange people that absolutely delights and enjoys being with people as they’re dying,” says spiritual teacher and former acid-tripping Harvard professor Ram Dass, “because I know I’m going to have the opportunity to be in the presence of truth.” In Derek Peck’s new Netflix documentary short Ram Dass, Going Home, these words play over shots of the natural beauty surrounding the Be Here Now author’s Maui home. Now in his 80s and living with extensive physical impairments from a 1997 stroke, he knows there is more road behind him than in front of him, but he is not afraid. 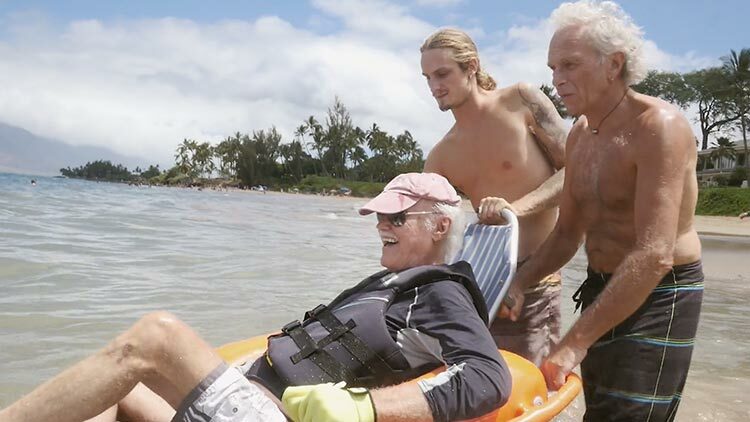 The film may not provide much insight into what LGBTQ elders face in their final years (in the ’90s Ram Dass came out as bisexual), but with its meditative imagery and the guru’s words of wisdom, it conveys the profound peace that comes with accepting mortality. We can all spare 32 minutes for that. Read more at: Out Magazine.